Joseph Charles Rios was seen by Walmart security entering the Vero Beach store and going directly to the electronics department, according to the report. A loss prevention officer observed Rios select two phone cases from the shelf and then walk to the front of the store. The suspect concealed the merchandise while cutting through the hardware department and exiting the store through the Garden Center. The officer requested him to stop and return the phone cases to him, but Rios ran to a waiting white Chevy Silverado pickup truck. The Silverado pickup then fled from the Walmart parking lot. The tag number traced Rios in Vero Beach. “Yeah I did it, I needed money, not for drugs like you think, I’m just going through a tough time. Is there any way I could pay them back,” the report said. The merchandise was valued at $34.76. 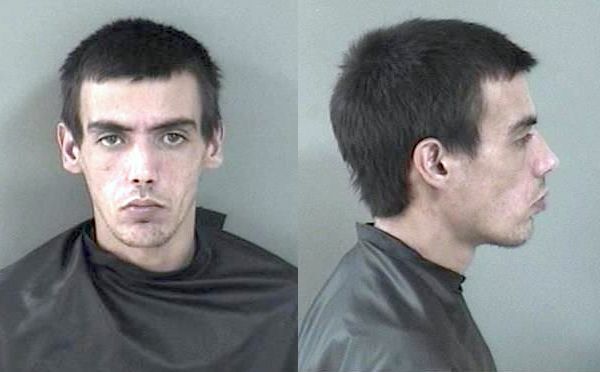 Rios was arrested and transported to the Indian River County Jail where he was charged with theft.